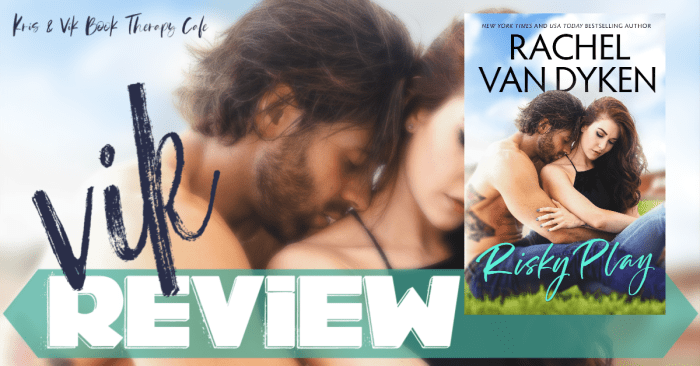 Rachel Van Dyken gives us yet another amazing RomCom love story in the newest series, Red Card. This book definitely can be devoured in one sitting… you know when real life is not interrupting you by making you go to work or do house chores. I loved every minute of it and felt total anxiety saying good bye to Mackenzie “Mack” and Slade. Mackenzie just got left at the alter by her childhood friend turned fiancee. So to lick her wounds she decides to go ahead on her honeymoon alone. On the plane ride there she meets Slade who has the same agenda. Fortunately their chemistry and witty banter so off the chart that it turns into a destination one-night stand. They do each other dirty by not disclosing who they are to each other, Mackenzie is an heir to a wine empire and pretty successful sommelier while Slade is a very well know international soccer player. Socioeconomically they are equals and that is kind of refreshing in the romance genre. As you can agree it doesn’t happen. As awkward as RomComs get Mackenzie finds herself to be an ‘errand girl’ for Slade as she is still trying to get over her jilted bride state. What comes of that is both of them trying to stay away from each other because Slade is a huge jerk. Big bonus for us readers is we get so much sassy banter from those two as a result. Mack is no push-over and gives as much as she gets. She is my hero! She knows who she is but lacking a bit confidence and support as a result of what happens to her. There is some drama as well as Slade and Mack finally give it to their fated attraction. That’s when I really started liking Mack to be honest. He really is a jerk with a capital J in my opinion for a big portion of the book. Once their relationship fully comes together that’s where all the good stuff comes with complications. There are some amazing side characters which I am sensing will get their own stories in this sports romantic comedy series. So if you are a fan of RVD or all that I have described above then pick up your copy today.